Burn MP4 to DVD/ISO/DVD Folder/Blu-ray DVD Easily. Edit MP4 Videos before MP4 to DVD conversion. Customize DVD template for MP4 to DVD. Moved to a new home and found a box full of VHS tapes recorded years and years back? Recording videos these days has become easy with smartphones and portable media players, but this was not always the case. Earlier video cameras were used to record videos which were saved on VHS tapes then. So if you have a collection of these tapes and want to watch it with your family and loved ones, the ideal way is to convert VHS to DVD. Once the tapes are converted, you can relive the special moments on a big TV screen. Moreover, when you convert VHS tapes to DVD, you have access to physical discs. There are a number of VHS to DVD converters available for this purpose which are discussed in the following part of the article. Convert VHS to DVD and let your special moments live forever and ever. The most practical and straightforward solution to transfer VHS to DVD is to use a video capture devices. Under this method, you first connect your VCR ( Video Cassette recorder) having your VHS tape to a PC using an analog to digital video capture device and record the tape content on the hard drive of your computer. Next, the recorded video on PC is transferred to a DVD disc, using DVD writing software. While using this method, you need to have a VCR, a video capture device and good software for writing digital content on a disc. Also take into consideration, the RAM of your PC and the speed of the hard drive and the processor. There is a number of software to burn your VHS video on PC to a disc-like Honestech VHS to DVD program, Roxio easy VHS to DVD tool and others. But if you are looking for a professional tool with excellent quality output at a quick speed, Wondershare DVD Creator is the apt choice. · Burn VHS videos to DVD from the camcorder devices directly and quickly. · Create Data Disc/Video DVD/Slideshow/Blu-ray Disc/ISO Files with video, photo, audio files in any format. · Edit VHS videos by cropping, trimming, adding watermarks, applying effects, etc. · Offer 100+ free DVD menu templates from Travel, Sports, to Memory themes. · Customize VHS to DVD menu with background music, background picture, text, thumbnail, and chapters. · More functions such as burning data disc, burning ISO to DVD, editing videos, making photo slideshow, copying DVD, etc. · Support OS: Windows 10/8/7/XP/Vista, Mac OS 10.14 (Mojave), 10.13 (High Sierra), 10.12, 10.11, 10.10, 10.9, 10.8, 10.7, 10.6. 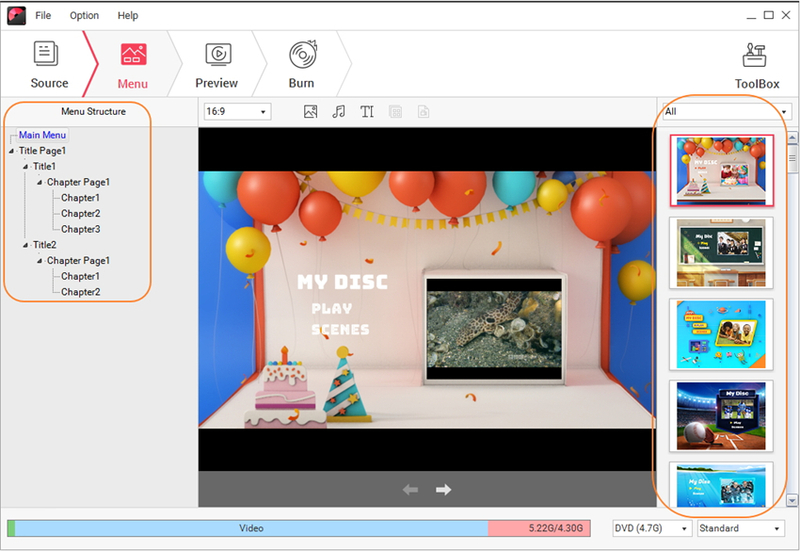 Wondershare DVD Creator is available for Windows 10/8/7/Vista as well as Mac users and supports almost all formats and codecs for the video to DVD conversion. This VHS to DVD recorder comes with an array of static and dynamic DVD menu templates which can also be customized if needed. 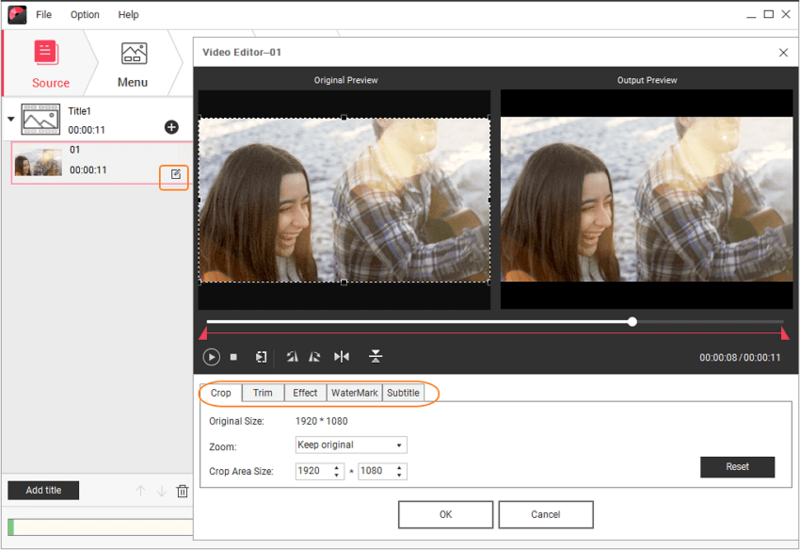 Video editing feature is also supported by the software. Additional specifications include real-time preview, adjusting volume, setting aspect ratio, and others. Step 1 Open Wondershare VHS to DVD converter and select disc type. 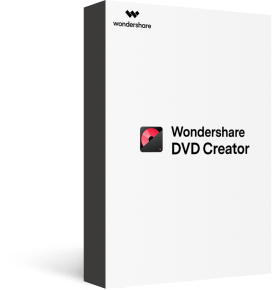 Open Wondershare DVD Creator on your PC. Select the Create a DVD Video Disc option. Step 2 Add recorded VHS videos. Connect your VHS device with your PC via a USB/Firewire cable. On the interface of the Wondershare software, click " + " under the Source tab to open the search window, where you can choose and add your VHS videos from the VHS hard drive directly. Alternatively, you can add VHS videos from your camcorder by clicking the File >> Add from phone... option on the left-top corner, and a window named Import from Device will open, you can select your VHS videos here. You can add VHS videos from device directly only on Windows now. For Mac users, you should copy your VHS files to your Mac first, then follow the similar steps to continue. Step 3 Edit VHS videos before burning to DVD. After the videos are added, they will appear as a thumbnail on the left side of the screen. 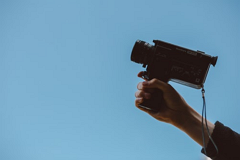 If needed, you can edit the VHS videos by hitting the pencil-like icon on the video thumbnail to set watermark, subtitle, aspect ratio, and others. Step 4 Choose DVD menu and customize it if you need. Now you need to choose the DVD template which can be done by clicking the Menu tab. Select the design from the given options. Additional designs can also be downloaded. 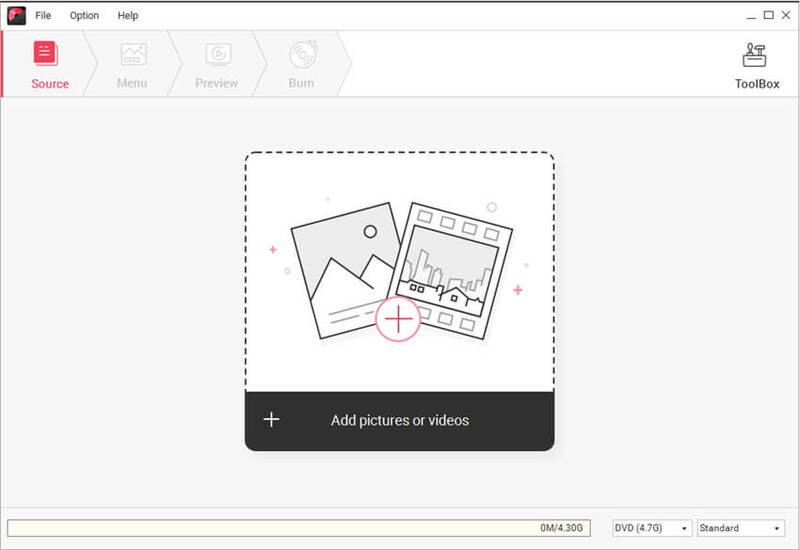 If needed, you can also customize the template design by changing title, background image or music, etc. Step 5 Preview DVD before VHS to DVD conversion. Go to the Preview tab to check the created DVD. Changes can also be made if you are not satisfied with your creation. Back to the Menu or Source tab to make adjustments. Step 6 Burn VHS videos to DVD. Select the Burn tab and a Burn Settings window will open. Choose the Burn to disc option and then enter details with respect to disc label, TV standard, disc playback mode, and others. Insert a blank disc into your PC. Hit the Burn button to start burning your VHS videos onto a DVD disc. If you have a separate VCR and a DVD player that can also record videos, you can turn VHS into DVD. While using this method, you would need an RCA cable that generally comes along with your DVD player, TV, cable box, and other equipment. Though this method is not as direct as using a VCR/DVD combo equipment, it works quite well and is simple. Step 1: Firstly, connect your VCR to your DVD recorder. 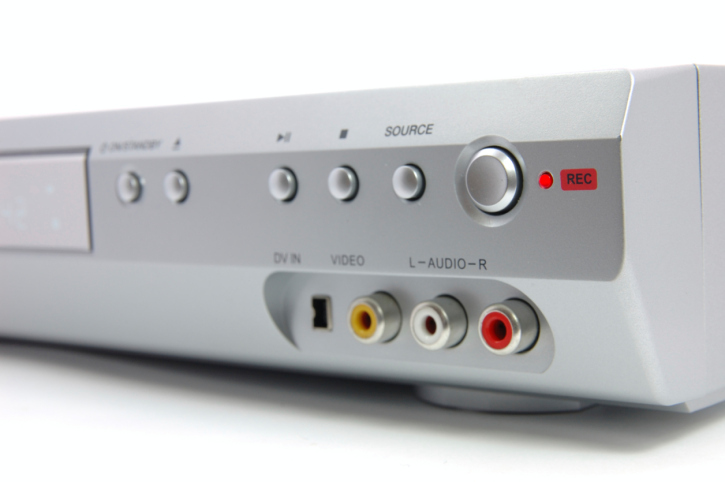 Connect the composite video output and the RCA analog stereo output of the VCR cable to the corresponding input of your DVD recorder. The cables are colour coded- yellow, red, and white. So simply you need to plug the corresponding colour output of the VCR to the colour-coded input of the DVD recorder. Step 2: Next, insert the VHS tape that you want to copy into your VCR and a blank disc into your DVD recorder. Step 3: To start the VHS to DVD machine recording, press the play button on your VCY and Record button on your DVD player. 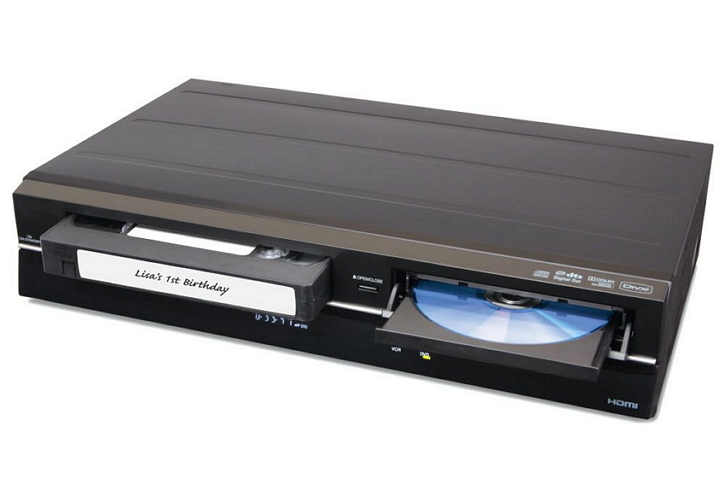 Another way to copy VHS tapes to DVD is by using a DVD Recorder/VHS VCR Combination Unit. A DVD recorder/VHS VCR combo is basically a single unit which includes a VCR as well as a DVD recorder. 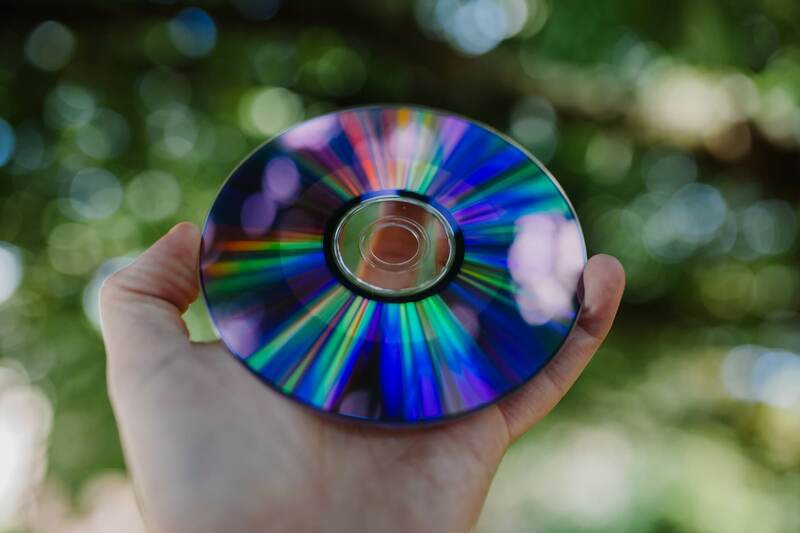 There are different brands and types of the combos available which is a flexible option as they can play and record both DVD discs as well as VHS tapes. These units generally have a cross dubbing feature where you can dub from VHS to DVD as well as from DVD to VHS. Step 1: Insert your VHS tape and DVD disc into the unit. Step 2: Press the Play button on the side of the VCR, and the Record button on the side of the DVD. The VHS tapes will be successfully copied to your disc. If you are not a tech savvy person and want to avoid the technical aspects of converting your VHS to DVD, let someone else do it for you for a price. Yes, there are a number of VHS to DVD service providers where you simply need to send your tapes and pick the converted discs. Many big and popular retail corporations are into these types of services with different offers and features. Depending on your requirements and budget you can opt one of these. Listed below are some popularly used VHS to DVD converter service providers. 1. Walmart VHS to DVD Service: Walmart service supports a number of formats including VHS, S-VHS, VHS-C, Digital 8, Betamax, Foreign, MiniDV, DV, DVCAM, and DVC. The cost to convert VHS to DVD includes $25 per tape with the maximum of 2 hours DVD. 2. Costco: This is another service to change VHS to DVD. Available formats include VHS, S-VHS, VHS-C, Super 8, 8mm videotape, 8mm film, MiniDV, Betamax, foreign (PAL) tapes to NTSC DVD. The pricing starts at $20 for 2 tapes with 2 hours of recording. 3. iMemories.com: This is a website to convert VHS to DVD service with available formats of VHS, VHS-C, 8mm tape, Betamax, 8mm film, Super 8, MiniDV, and 16mm film. The pricing is $13 per tape or per 50ft of film. Some other popular names include Southtree, Target, CVS, and Sam’s Club. Search for VHS to DVD service near me and you will get the list of available options. Considering all the above methods and solutions, it can be concluded that Wondershare DVD Creator is the best VHS to DVD converter. It not only converts your VHS videos to good quality discs but also facilitates video editing and DVD template selection and customization. Download and have a free try now.